It's one we should all be paying attention to. $200.48. That was the average amount of money in the collective bank accounts of a group of women sitting at happy hour in downtown Los Angeles late last March—myself included. We sat there mourning our pitiful salaries and counting down the hours until our next paycheck, when we could feel flush enough to hit Whole Foods. Of course, that didn’t stop us from ordering a second round of rosé. 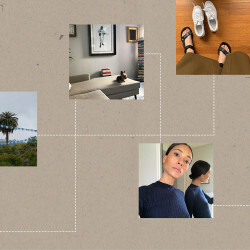 Life is difficult—city life is both difficult and expensive—and most (read: all) of us could benefit from a better salary. Add to that the oft-cited fact that women make only 78 cents to a man’s dollar, and your low bank account doesn’t just feel like a personal bummer—it’s a major social and political issue. We’ve watched Trump’s rise to presidency rejuvenate the women’s movement, so it’s no surprise that this year felt like we were talking about equal pay more than ever—from Equal Pay Day-themed articles and a new #20PercentCounts Instagram hashtag (thanks, Sheryl Sandberg) to the countless circulating petitions, marches, protests, and legislative postcard blasts. As a platform dedicated to helping women build their ideal careers and generally become the most fulfilled version of themselves, the wage gap is obviously a huge topic around here. But here’s the thing—and you can quote us on this—it’s not the issue that scares us most. That spot is reserved for something more covert and much more sinister: the investment gap. If the term “invest” conjures images of barrel-chested Wall Street men frantically shouting and throwing elbows, you’re not alone. Actually, if you’ve never dabbled in investing before because it felt foreign or too convoluted, you’re one of the majority—of women—who haven’t considered their future investments. According to Ellevest, an investment platform specifically targeted at women, “Of all the assets controlled by women, 71% is in cash, AKA not invested,” meaning we’re allocating more money to other financial funds, like building our savings accounts or making big-ticket purchases. So why does this matter? Having a mass of cash is great, right? It means buying tickets to Europe, paying for your groceries without accruing a credit card balance, money to pay for surprise car repairs, prescriptions, or vet bills. And most financial advisors suggest you pay off high-interest debt and focus on building an emergency fund before thinking about investing. But while needing to pay down debt or build an FU savings account to quit your terrible job are short-term problems, investing is decidedly not. We all know women live longer than men. That’s great proof of our vitality, but since we go through life making dramatically less money than men year after year (ahem, 78 cents), we also wind up retiring with much, much less to live on. Nearly twice as many women 65 and older live in poverty than men. Add to that the fact that the rate of seniors getting divorced has doubled since 1990, and we’re potentially facing a very bleak period of our lives, AARP discounts aside. The investment gap doesn’t affect the number of happy-hour rosés you can work into your 20- or 30-something budget. Actually, it has nothing to do with being more financially successful right now in general. But failing to invest at the rate men do threatens our quality at exactly the time we need it most. The upside (and irony) of all this is that research shows women are actually better at investing than men. We just need to narrow the gap of getting started. If your company offers a retirement plan that you haven’t enrolled in—or if you’re lucky enough to have employer matching in your retirement plan and you’re not taking full advantage of it—start. Now. If your company doesn’t offer a 401(k) plan, it’s time to think about opening a Traditional or Roth IRA (we broke down the difference between the two in this personal finance 101 digital guide). This is true whether you’re 22 or 46. Beyond that first step, you know how everyone says, “There must be an app for that”? There is. Actually, there are several that can help you start investing. Even if you take a small step, like downloading an app that automatically siphons your spare change into an investment account, you’re doing more than most. And just like any social, political, or personal issue, we have to start somewhere, right? 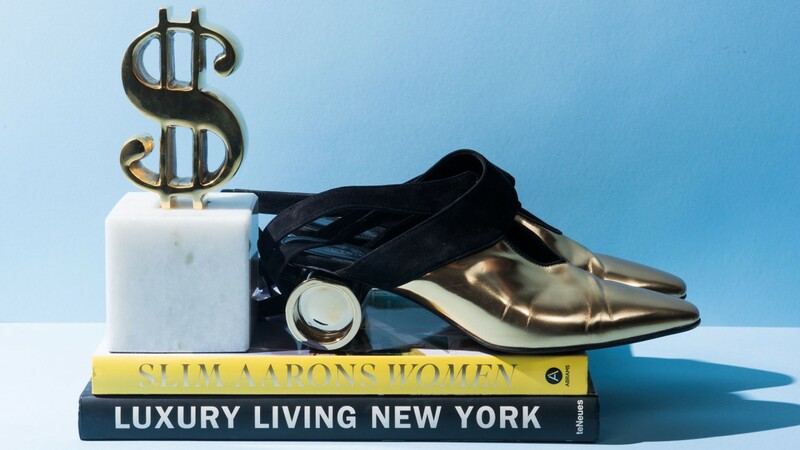 Photo: Brass Dollar Sign Object, Jonathan Adler; Shoes, J.W. Anderson.